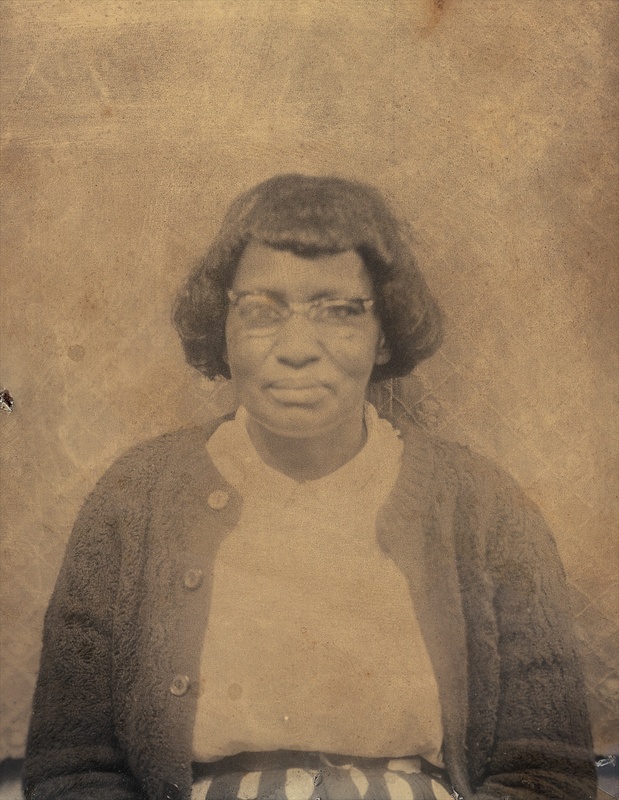 Lola Saulsberry, sister of quiltmaker Arcola Pettway, reminisces about their mother, Deborah Pettway Young, whose brother Reverend Spurlin Pettway was the father of quiltmaker Mary Elizabeth Kennedy. 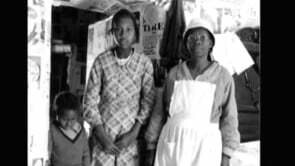 My mother, Deborah (she pronounce it 'D-bora'), she was a Pettway; she married a Copeland, then she married a young, Nettie Young's daddy. She was born in 1916 in Gee's Bend. She passed in 1997. Her parents were Paul Pettway and Louvenia Pettway. Her mother died, I think she said, when she was seven years old, so her daddy raised her. He remarried twice. She had a hard life coming up because of step-mammas. She had three daughters. Arcola was the oldest. She liked to go to church, and she sang in church. She made a lot of quilts, and she made dresses. And she did it without patterns. If she saw a dress somebody had on the TV, she could make it. The same was true of her quilting. I remember something she saw on TV, she made it into a quilt. I never dreamed that people would pay attention to her and Arcola's quilts. They were just making them to keep warm.